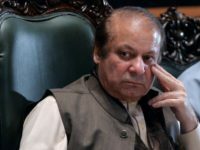 Pakistan urged its ally China this week to take steps against the alleged human rights abuses and repression of ethnic Muslim Uighurs in Xinjiang, marking one of the first public criticisms from a predominantly Muslim country of Beijing’s policy in the province. 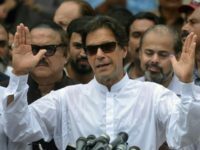 Pakistan’s new prime minister, former cricket player Imran Khan, is in Saudi Arabia as part of his first official overseas trip. 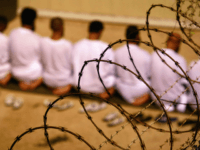 An al-Qaeda-linked prisoner held at the U.S. military prison in Guantánamo Bay, Cuba, proclaimed his innocence in an op-ed published by the Houston Chronicle Sunday and urged the new prime minister of Pakistan to “press” the United States for his release. 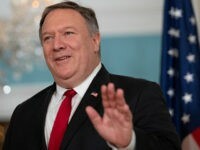 Secretary of State Mike Pompeo arrived in Pakistan on Wednesday for meetings with top officials and the new prime minister, Imran Khan. 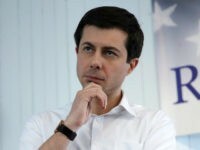 Pompeo told reporters his objective was to “reset” America’s troubled relations with Pakistan. 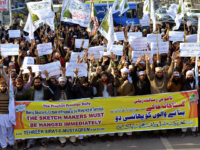 The government of Pakistan has celebrated the cancellation of a cartoon competition facilitated by Dutch anti-Islamisation politician Geert Wilders in which participants were encouraged to draw the Islamic prophet, Mohammed. 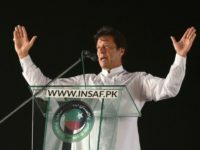 Pakistani Prime Minister Imran Khan’s wife makes a fashion statement by wearing a white niqab to his swearing-in ceremony. 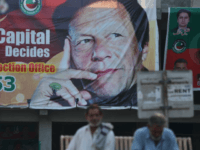 Christian watchdog groups have voiced concern over last week’s election of former cricket star and Islamist Imran Khan as Pakistani Premier, noting Khan’s public supported the nation’s harsh blasphemy laws. 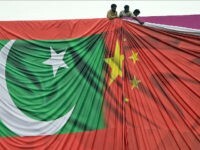 Chinese state media celebrated the victory of Pakistan’s new Prime Minister Imran Khan in an editorial Monday, claiming the two countries’ relationship of “iron brothers” will “flourish” under his leadership. 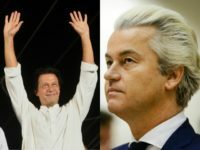 A European Union (EU) monitoring team, that was present for Pakistan’s general election which saw the victory of cricket legend-turned-politician Imran Khan this week, said on Friday that the campaign for the election was not a level playing field for all the political parties that participated in the race. 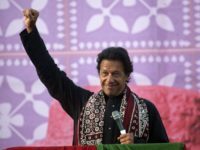 The former cricketer turned politician Imran Khan declared victory in Pakistan’s elections on Thursday, hailing what he describes as the “fairest” vote in the country’s history despite opposition claims of vote-rigging and corruption. 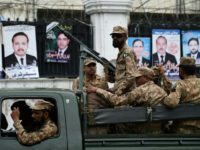 Pakistan prepares to open polls for this year’s regional and legislative elections Wednesday, ending a campaign season fraught with incendiary language, terrorist attacks, and flooded with hundreds of candidates openly embracing Islamist groups.